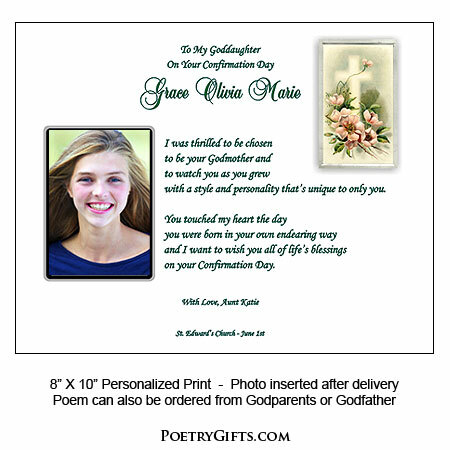 One-of-a-kind personalized Confirmation gift for your special Godchild that will become a lasting keepsake. Personalized with name, date and optional personal message from you. 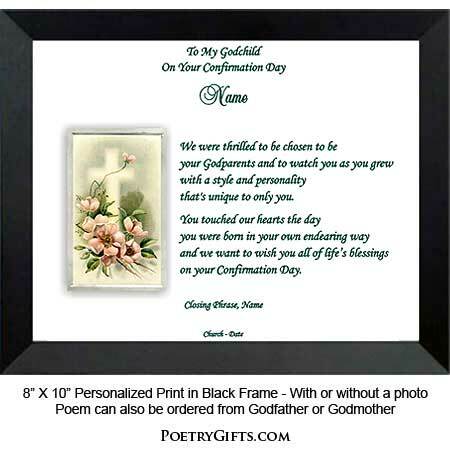 Add a photo and it becomes a very special remembrance of an important religious occasion in the life of your Godchild. 3. 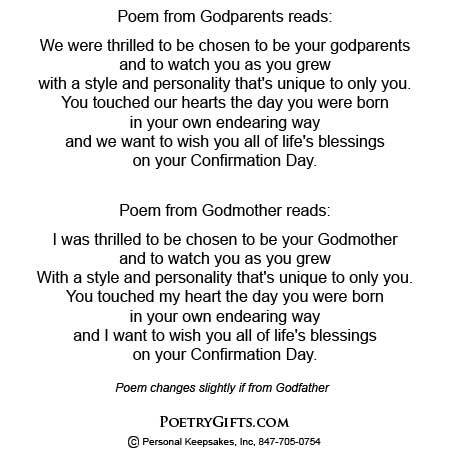 Closing Phrase and Your Name(s) (as seen after poem) - (Examples: With Love, Your Godmother, Peggy; Love, Uncle Bill & Aunt Tina; etc.)" Fast shipping. Got here faster than I expected. Packaged really well to prevent damage in transit. Quality product. Really like that you can add personal touches. So glad I am across Poetry Gifts!! It's the perfect gift!! 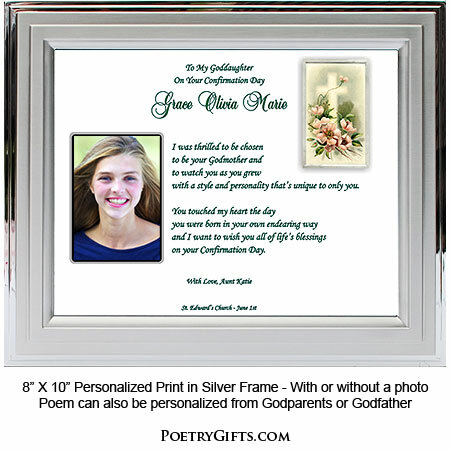 Beautiful Gift for my Goddaughter - shipping was fast and packaging was secure - I bought a beautiful silver frame myself and it looks gorgeous - so glad I came across this website! Thank you!